The police of the 104th Precinct continue to paint the town with graffiti arrests as the Queens District Attorney’s office backs them up. The latest charges were brought against alleged vandal Matthew Young—93 counts of spray painting throughout Queens, including vandalized properties in Richmond Hill and Forest Hills. Young’s tags, SA, SA ONE and RIP ZIC, have caused thousands of dollars in damage, according to Queens District Attorney Richard Brown. 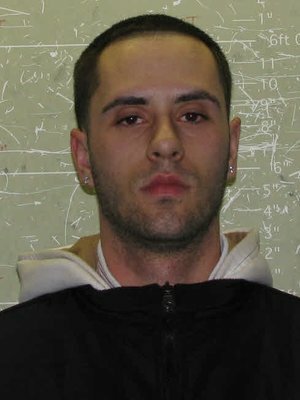 Young reportedly posted his monikers on 45 separate occasions between 2009 and 2011, tagging buildings, light posts, traffic signs, railroad overpasses, a bus shelter and even a police van. Young, 23, of Ridgewood, was arraigned on March 16 and held on $10,000 bail. Young was ordered to return to court on March 28 and faces up to seven years in prison. The 104th Precinct has continued to lead the city in graffiti arrests this year with a ramped up effort at keeping vandals out of the borough. At the Juniper Park Civic Association meeting on March 10, Assistant District Attorney Michael Brovner joked that graffiti websites and message boards often recommend against tagging in Queens. “We’re too hard on graffiti here,” he said. The 104th Precinct’s graffiti task force, led by Alison Potokin and Justin Dambinskas, arrested Young in early January along with Thomas Rank, 19, of Glendale, another alleged vandal in the area. The arrests boosted the 104 to the city’s leading precinct in combating graffiti. In 2010, the 104th Precinct was second in arrests only to the 122nd Precinct in Staten Island. The two had 174 and 215 graffiti charges respectively. The precinct has also been vigilantly self-reporting graffiti in an attempt to have a wealth of records when an arrest, like Young’s, is made. By March 1, only three public complaints about graffiti had been made to 311, while the 104th Precinct has self-reported 136 new incidents. The reports are vital to the District Attorney’s Office, which uses them (like the 104th Precinct) to create a “fingerprint” for each vandal. The fingerprint can then help the police and District Attorney’s office add charges to each suspect, as well as account for the damages. Young, linked to more than $1,500 dollars worth of damage, faces a high felony. If a vandal does less than $250 worth of damage, the crime is only a misdemeanor. Brovner encourages residents to report new vandalism as it appears, and suggests keeping records of damages and their cost—records which would continue to make Queens a very unfavorable place to paint the town.